In the small town of Alvin, Texas, there is a small crepes café in a strip center that does not attract much attention. However, when this breakfast and brunch café, Ooh La La Crepes, got it’s logo made into a large 3D sign for the front of the building, it definitely was noticed by drivers who passed by. Smash Design’s talented hands created the 2D logo and 3D sign for the café in early 2012. The logo depicts what the café offers: crepes, coffee, ice cream, and gelato. (The product offering). As you walk inside, you are transported to a chic Paris-themed restaurant, so the way the logo is designed, (color scheme, arrangement, and font) contributes to the brand. When small businesses open their doors, they need to have that brand communicated through marketing material, logo, design, theme, and name signs, like the 3D sign created by Smash. Apple has by far one of the most recognizable brands. Not only is the Apple trademark absolutely identifiable, but it conveys the message, “This is a cool product, made for cool people. 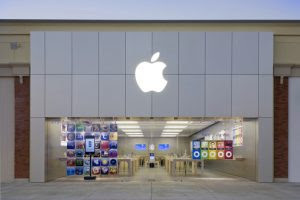 You can be cool too if you have it.” Walk into any Apple store and you will see giant iPhone and app displays which add to the Apple experience. Imagine if your business, too, had such a distinctive brand? Could a strong brand change the way your yearly income looks? And why? Design and brand go hand in hand. Superior design makes your brand stand out above others. It builds a loyalty toward your brand. Why are loyal consumers amazing? They generate a recurring stream of revenue to the life of your business. Your consumers trust you. When moms are out shopping for groceries, they get the same brand of milk, yogurt, bread, and cereal. They trust the taste, quality, and design of each product. Rarely do shoppers deviate from the brand they love. For this reason it is incredibly important that your business portray a strong brand and design!